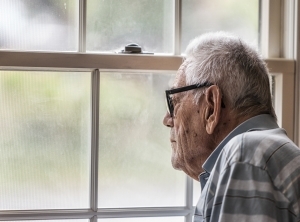 New research from Advance Care Planning Australia (ACPA) reveals that 70% of older Australians are without an Advance Care Directive, leaving no instructions in the event that they’re unable to make their own medical decisions. Funded by the Australian Government, this landmark study was recently published by BMJ Open and is the largest and most comprehensive study into the prevalence of Advance Care Directives in Australia. The study involved reviewing de-identified health records at the point-of-care in 51 Australian hospitals, aged care facilities and GP clinics, across six states and territories. The study found that approximately 30% of people reviewed had an Advance Care Directive – of which some had documented their preferences for care, others had appointed a substitute decision-maker – a person legally empowered to make decisions of their behalf - and some of whom had done both. “With Australia’s ageing population, it’s concerning that most older Australians are leaving it to chance and not taking active control of their future health care, said Dr Karen Detering, Medical Director of Advance Care Planning Australia. “Without a plan, older people may be left vulnerable and potentially without a voice. And far too often loved ones are left to blindly make decisions under the worst circumstances. As a medical practitioner I’ve witnessed these scenarios and I can tell you it’s a heart-breaking way to say goodbye to your loved ones. “The research findings are a great starting point for us to better understand the Australian advance care planning landscape. This valuable baseline data will be used to inform policy in advance care planning, which is becoming an increasing healthcare priority,” explained Dr Detering. As the national authority on advance care planning, ACPA is continuing research into advance care planning prevalence with a view to better understanding the barriers and enablers and to increase uptake in Australia. To increase public awareness, ACPA’s National Advance Care Planning Week initiative runs from 1 – 5 April 2019, encouraging all Australians to make sure their care preferences and values are heard and respected. Learn more about National Advance Care Planning Week, 1 – 5 April 2019.